LandSmart Water Resources® provides landowners and managers with tools to achieve their water management and conservation goals. Through this program the RCD assists landowners in assessing their water resources and needs and developing conservation projects that provide multiple benefits to their operations and their natural resources. For more information on our Water Resources program, please contact Keith Abeles, Soil and Water Specialist, at kabeles@sonomarcd.org or 707.569.1448 ext 112. 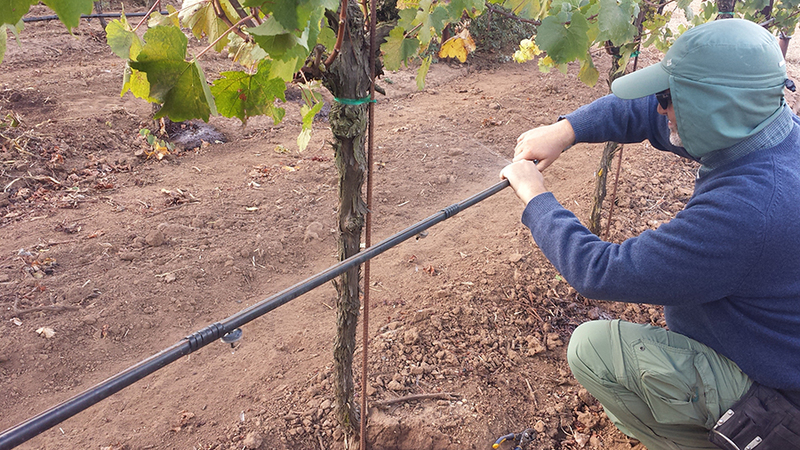 Sonoma RCD provided me with the support and resources to successfully complete several small and large vineyard irrigation efficiency assessments. Improvements from these assessments reduced our expenses significantly. It is a pleasure working with their knowledgeable and professional staff. The RCD provides technical field visits to landowners interested in developing alternative water supply and storage. Projects range from off stream storage ponds to small rainwater catchment systems. 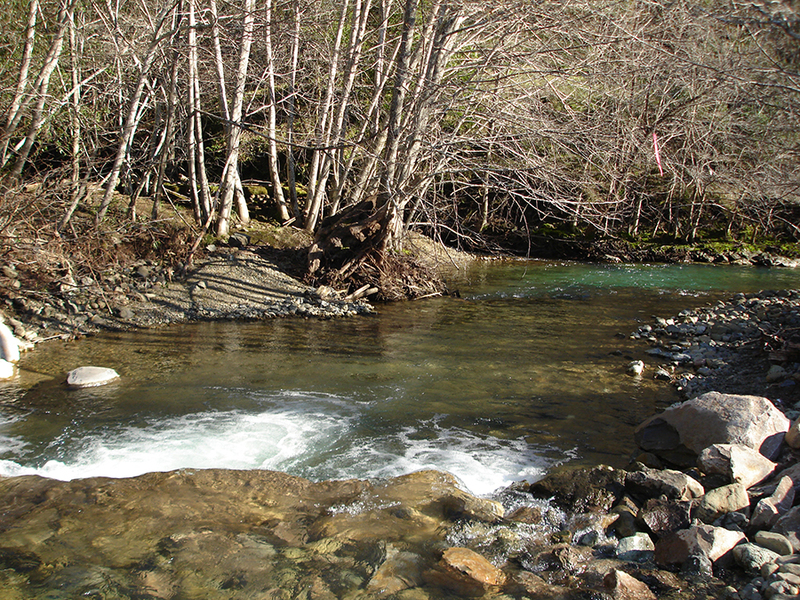 Incorporated into the mission of the RCDs’ LandSmart water resources and reliability program are the goals of increasing the amount of water flowing in our streams during the summer dry season and assisting landowners in developing more secure and reliable water supplies, especially important in years of drought. Utilizing stored water resources instead of creek water during the summer dry season means less water drawn from the creeks, allowing wildlife access to freshwater when they need it most. 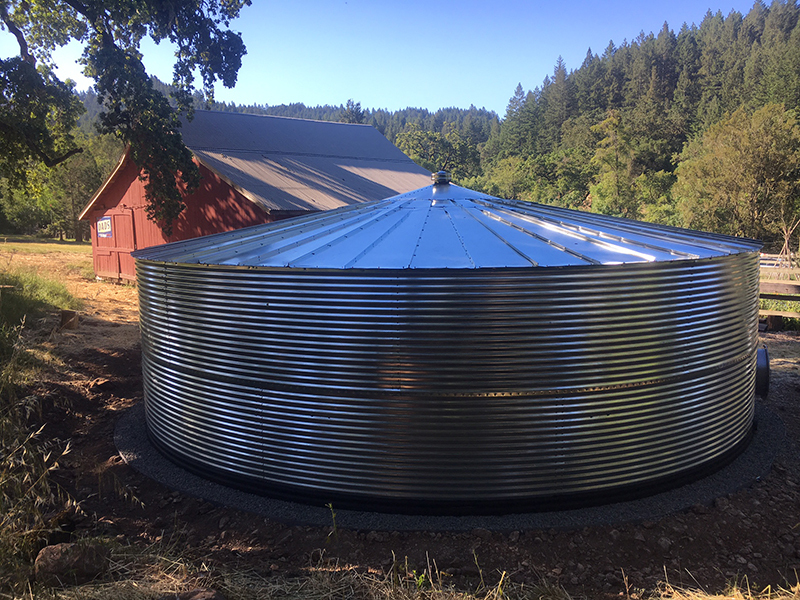 Additionally, with fire preparedness on the minds of many and all of these watersheds also being highly susceptible to wildfires, rainwater catchment tanks will provide firefighters with water for emergency use in these communities. The RCD also has educational resources available for these types of projects including the Slow it. Spread it. Sink it. Store it! guide and an informational brochure on rainwater catchment systems. See our Resources page to download your copy! 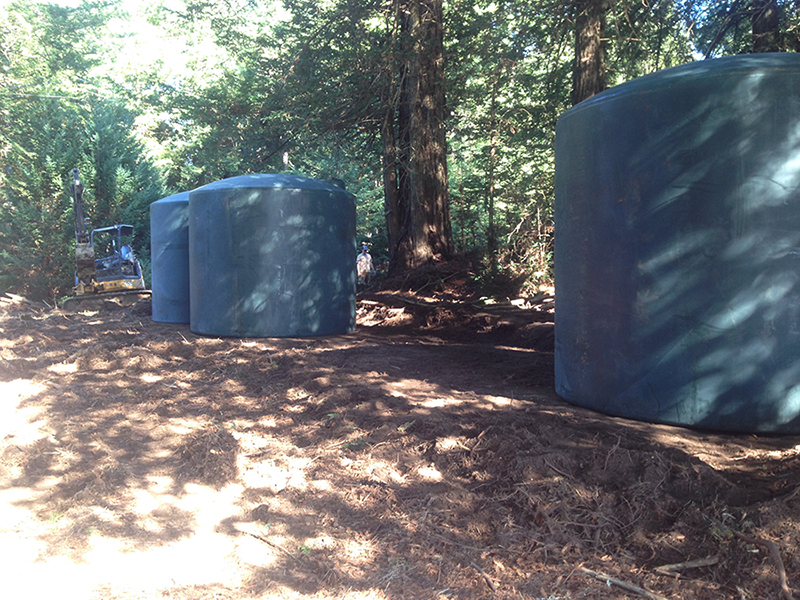 We have a more reliable water system and we’ve reduced our impact on summer water levels in Mill Creek. Vineyard irrigation system evaluations are provided to grape growers throughout the Russian River, Sonoma Creek and Petaluma Watersheds. RCD staff coordinates with interested landowners to assess the efficiency of the current irrigation system installed. This includes measuring distribution uniformity, pressures, and drip and micro-spray flow rates. The evaluation also investigates drainage, spacing, and plugging. The field evaluations take 4-6 hours. Following the field visit, RCD staff will provide a written report that summarizes the field test results and provides recommendations to improve your system. Staff will also be available to discuss potential cost share programs, such as the Natural Resources Conservation Service (NRCS) Environmental Quality Incentives Program (EQIP), which can offset costs for growers interested in implementing recommended changes to irrigation systems. If you’re interested in receiving additional information, or to sign up for an evaluation, please email kabeles@sonomarcd.org or call 707.569.1448 ext 112. To provide local groundwater agencies with the authority and the technical and financial assistance necessary to sustainably manage groundwater. To achieve its stated goal of sustainability, the Act requires that Groundwater Sustainability Agencies (“GSAs”) be in place in each significant basin by June 30, 2017. The GSAs are then required to adopt Groundwater Sustainability Plans (“GSPs”) by January 31, 2022. There are three medium priority basins in Sonoma County: the Petaluma Basin, the Santa Rosa Plain Basin and the Sonoma Valley Basin. Why is Sonoma the RCD involved? 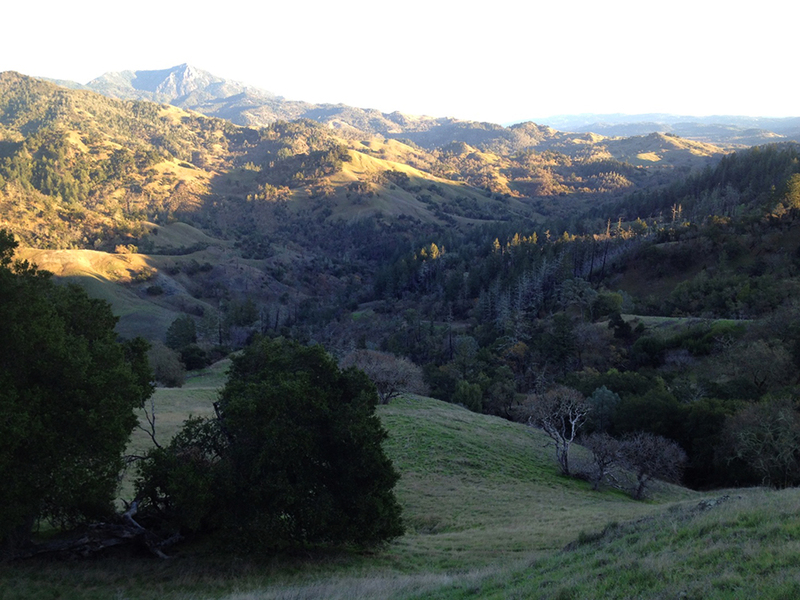 Sonoma RCD is a GSA eligible entity that has been involved in the formation of the Groundwater Sustainability Agencies since April of 2016. The RCD is not required to be involved in the local GSAs and it is a decision and investment in time and money that we have taken very seriously. The RCD is a non-regulatory local district that works closely with rural and agricultural landowners, urban residents, schools, resource agencies, and others on a variety of voluntary conservation programs. We are very proud of the trusted relationships we have with our district’s landowners that we have fostered over the last 70 years. We believe that our work over the last 70 years working closely with hundreds, if not thousands, of groundwater users gives us an understanding of their issues and concerns. We can be a voice for those concerns on the governing board of each GSA. 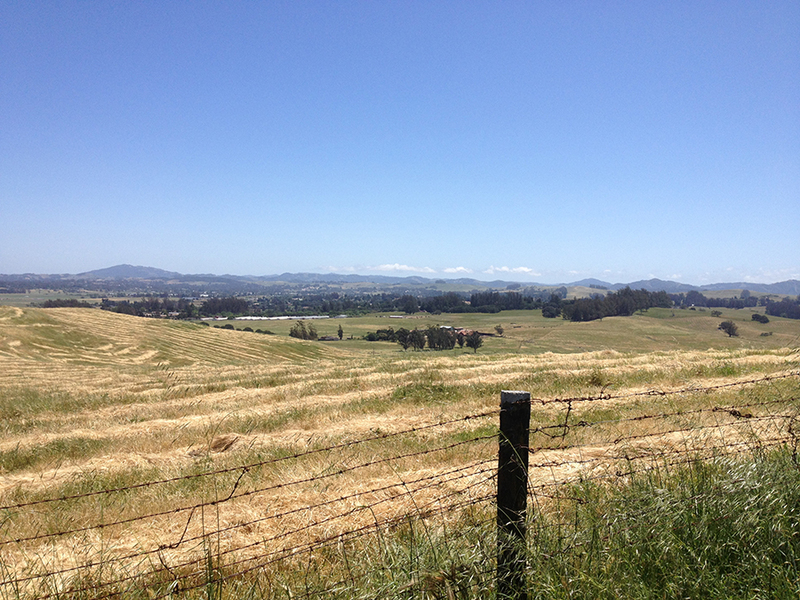 The RCD has been involved in the Basin Advisory Panels and Technical Advisory Committees in the Sonoma Valley and Santa Rosa Plain basins since 2006 and 2011. We believe that we are part of the solution to effective groundwater management. We are focused on working with local landowners, using a science-based approach, and advocating for voluntary approaches to key aspects of the implementation of future Groundwater Sustainability Plans. Our experience in implementing on-the ground conservation projects, monitoring groundwater levels, and working with local communities aligns us to help implement future solutions to potential groundwater issues. The RCD can effectively bridge environmental concerns with the pragmatic needs of groundwater users. Are You In An Affected Groundwater Basin? There is a tool on the California Department of Water Resources website that can help you determine the basin where your property is located. Go to gis.water.ca.gov/app/gicima.